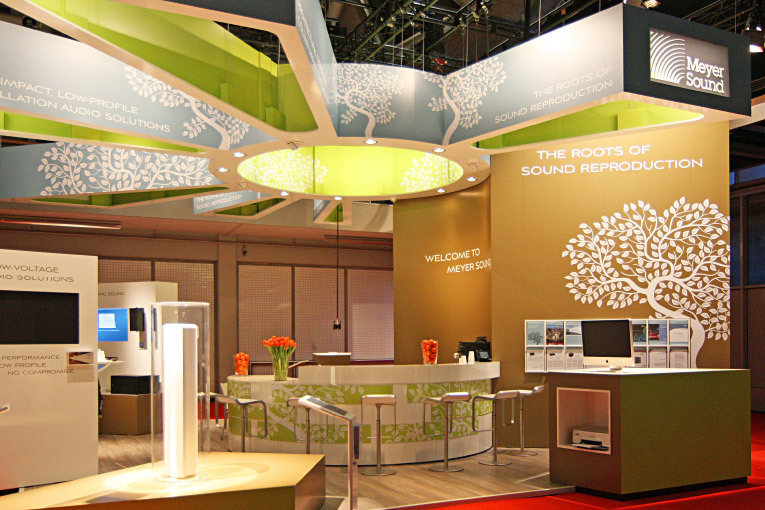 For the leading manufacturer of PA sound systems, we designed a communication stand with central counter and created a pleasant atmosphere for personal consultations. An airy skylight structure fans out above a central circular counter, adding a special quality to this small but striking stand. The individual stereo systems are presented beneath the roof structure on perfectly illuminated platforms.